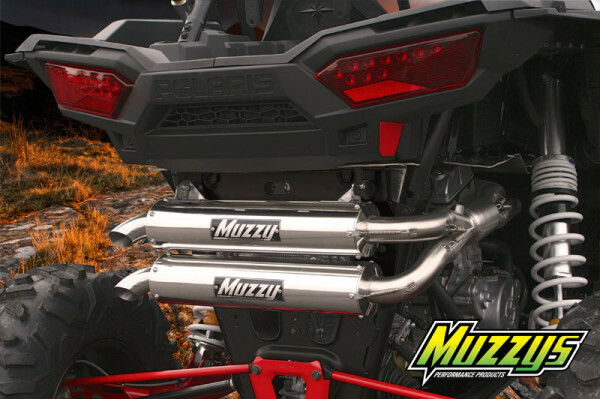 The Muzzy full exhaust for the RZR XP-1000 is a 2 -1- 2 design that features large diameter stepped head pipes for the largest power increases throughout the power band. Longer dual oval aluminum muffler canisters provide an aggressive sound without excessive decibel levels. What truly sets this system apart from the rest is the Muzzler™ midsection that reduces sound levels and increases low and midrange power. The muffler canisters feature the Modular Endcap System with USFS approved spark arrestor screens and quiet cores. Finishes are available in brushed, polished or black. 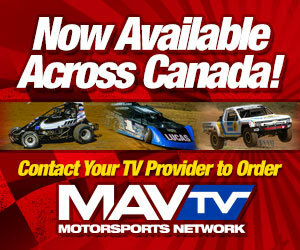 For fuel tuning, Muzzys recommends the Digi-Tune Pro or the new Gen 4 closed loop tuners. Full 304 stainless TIG welded head pipes. Dual aluminum muffler canisters available in three finishes. Most powerful exhaust available for the XP-1000 – over 8% gains! 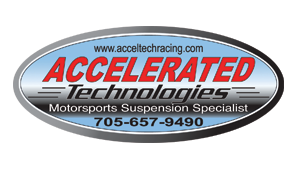 Six pounds lighter than stock!